This month, Advantek Pet will be in Las Vegas, Nevada to showcase our products at SuperZoo – The National Pet Show for Retailers. In this week’s blog, we review what you can expect at the event and how to find us there! 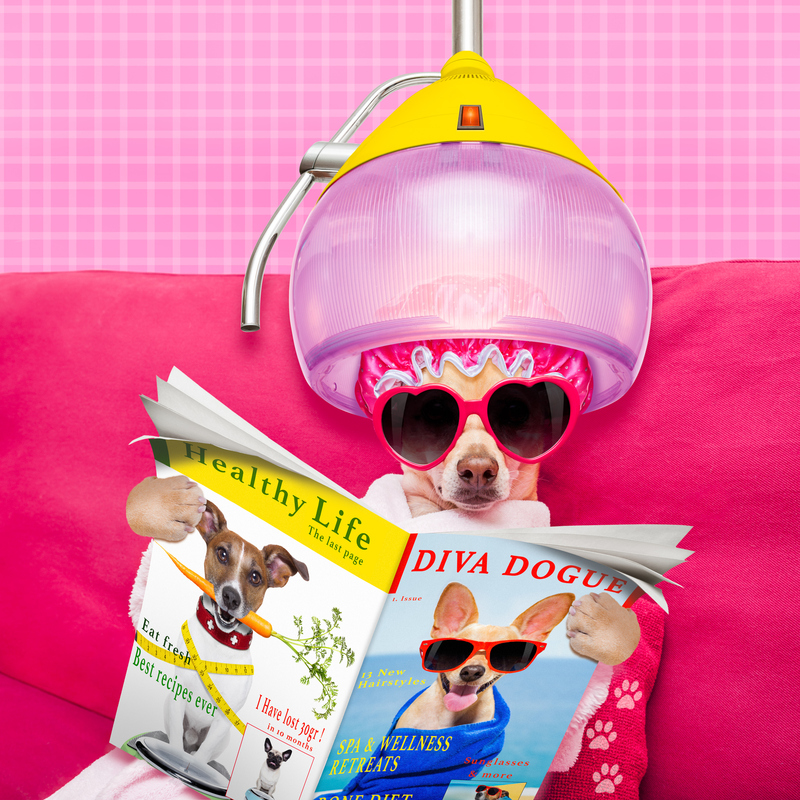 The pet show will take place on June 26 – 28 at the Mandalay Bay in Las Vegas. There are various educational sessions at the SuperZoo show and the Advantek Pet team will be at booth #2703 and #3278 showcasing our products. We are excited to meet businesses looking to sell our products in their stores. We will have our products on display for the attendees to see and you can also meet the Advantek Pet team! We look forward to getting to know the attendees. 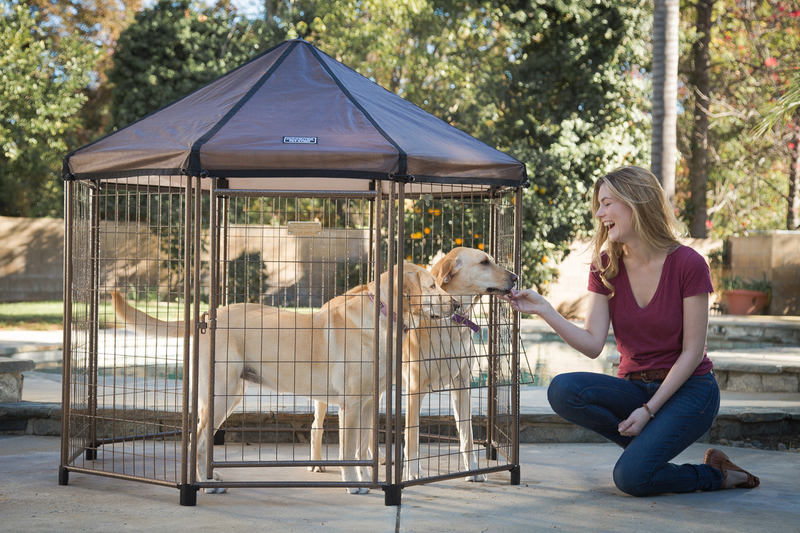 Did you know the PET GAZEBO® won a Best New Pet Product award from SuperZoo? We are happy to be returning to the show this year to meet pet retailers and stores interested in finding the best products to sell in their stores. Advantek Pet has also added another PET GAZEBO® size to our suite of portable kennels. The four sizes are now recommended by the weight of your pet to ensure they have enough space and comfort. When used outdoors, your pet should not feel confined or trapped. Our different sizes give your pets the opportunity to roam and play. Advantek Pet’s customers attach multiple panels to create a play area for their pets. 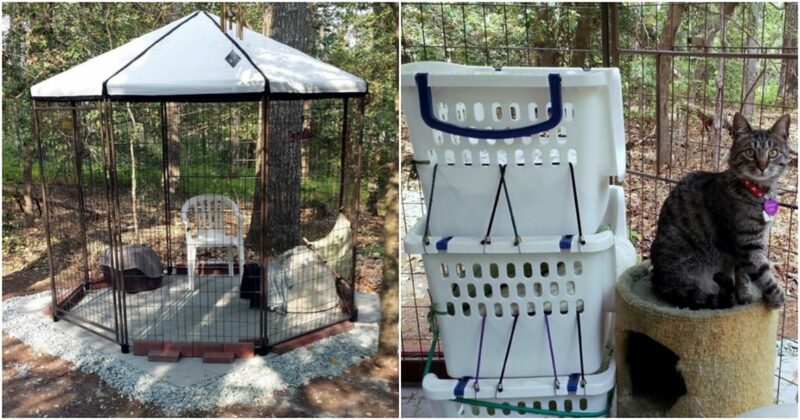 Some customers have even created their own “catio!” Cat and dog owners alike love our PET GAZEBO® and we want you to feature it in your store to make it available to them. 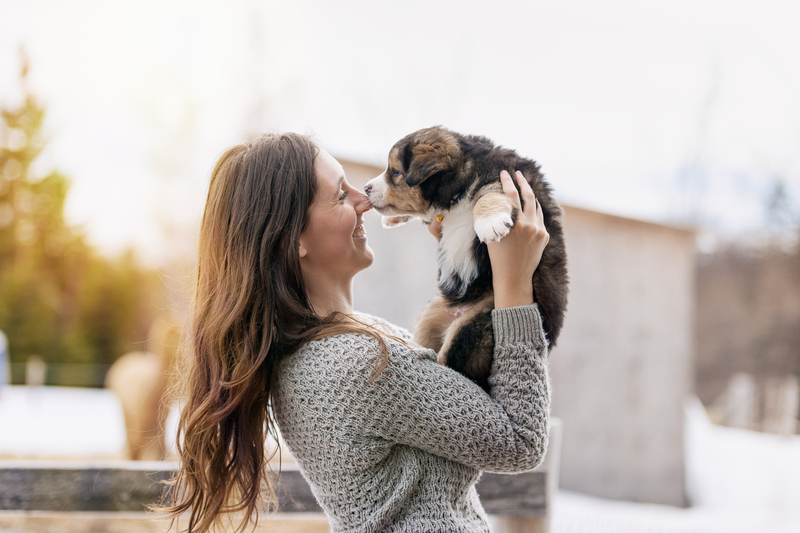 The Advantek Pet team is made up of friendly, animal-lovers who want to give pet owners useful and affordable products that their pets will love. We don’t like to make things “ruff” for our clients and customers. The PET GAZEBO® is a portable, easy-to-assemble kennel that can be used indoors, outdoors, and on-the-go. It is ideal for camping, fishing, dog shows, family gatherings, road trips, and more. Our products also have style. We have canopies in a variety of colors to cater to your pet’s unique style. Are you shopping for an adventurous pet? The dark forest canopy is the one for you. What about an ocean-lover animal? Beach sand sounds like the perfect fit. Meet us in Las Vegas to learn more about selling our products! Can’t wait for SuperZoo? We want to hear from you! Contact us today or call (800) 664-4939 to get in touch with us. At Advantek Pet, we love animals. That’s why we designed our PET GAZEBO® with practicality and comfort in mind to benefit not just dogs, but cats as well. 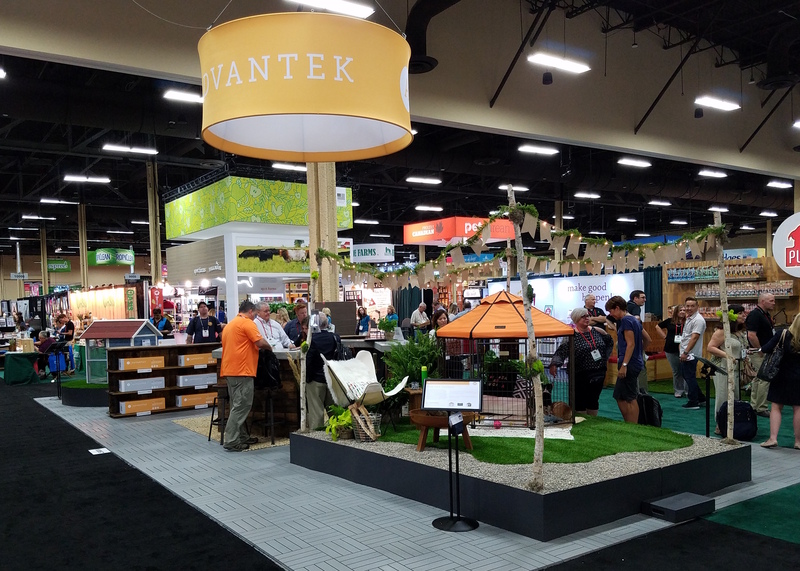 Advantek Pet has noticed an increased interest in our PET GAZEBO® for their cats. Our Facebook page has shown us that more and more people are interested in our dog products for their cats. 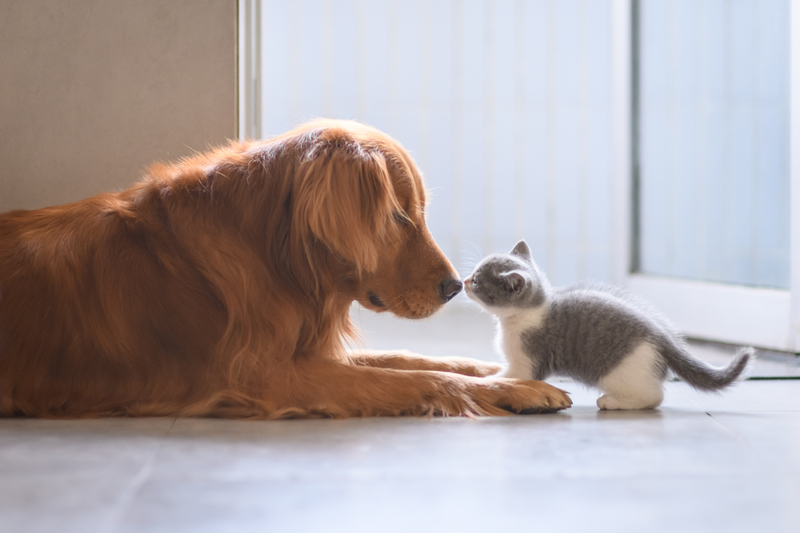 In today’s blog, we talk about why cats love our dog products and we even have some customer photos to share! The PET GAZEBO® gives your cat plenty of space to play and enjoy the outdoors. If your cat is an indoor animal, it doesn’t mean they should be barred from the outdoors to get some fresh air. The PET GAZEBO® gives you peace of mind when your pet spends time outdoors because you do not have to worry about them running off or getting harmed by other animals that could enter your yard. It’s also a stylish addition to your backyard that can complement your pet’s personality with our selection of canopy colors. Create a permanent space outdoors for your cat or set it up temporarily when you want to take your feline friend on the go! We all know cats can get curious and explore. The PET GAZEBO® allows them to enjoy their own space without making them feel confined. In fact, we know of some customers who have created their own custom “catio” – a patio for cats! 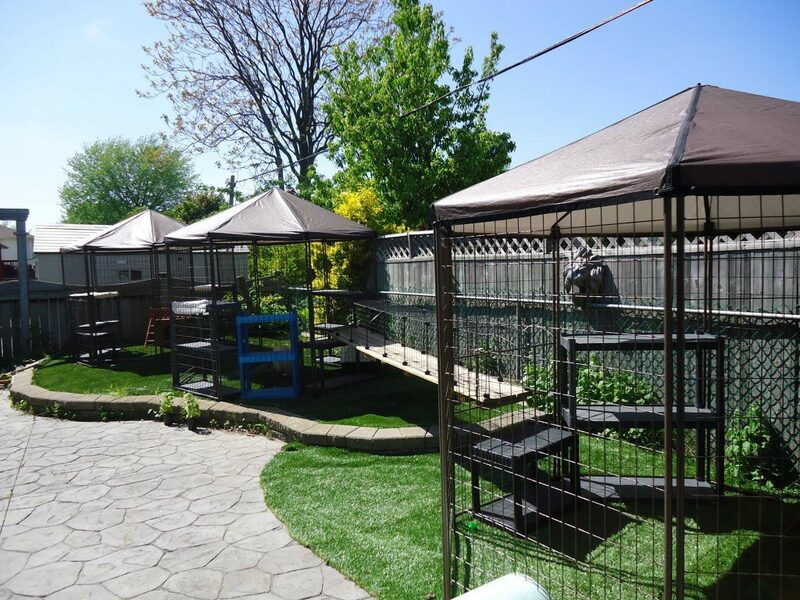 Because you can connect multiple PET GAZEBO®s, this gives you the opportunity to create a fun and safe play area for your cat. Take a gander at Linda’s play area for her cats! She connected three PET GAZEBO®s to create an awesome space for her cats. 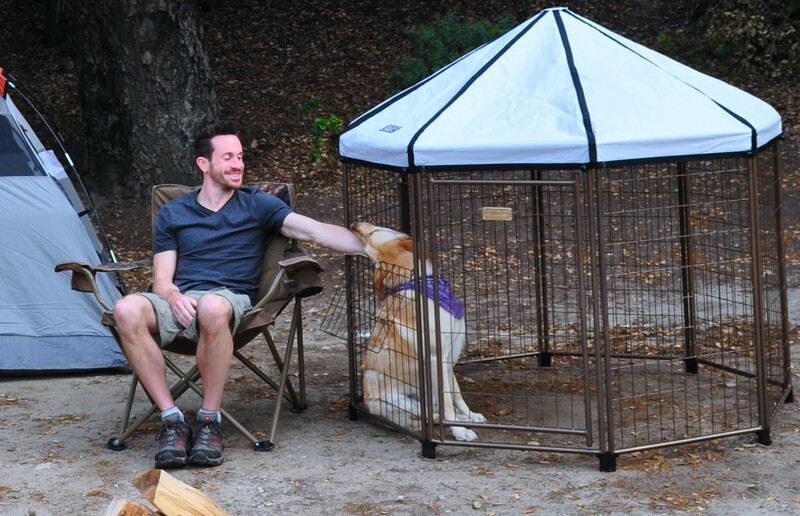 Do you get creative with your PET GAZEBO®? Advantek Pet wants to see! Post your photos to our Facebook page so we can see how happy your adorable pets are. Contact Advantek Pet today to buy our products or to learn more about selling them in your store. Advantek Pet loves animals and created the PET GAZEBO® with our furry friends in mind to provide a safe, shady, and spacious place for them to relax. In our last blog, we told you why you need a PET GAZEBO®. This week, we are going to tell you more about why the PET GAZEBO® works well all year round – rain or shine! Cool on summer days. Dry on rainy days. Advantek Pet takes a personal approach when designing products for our pets. 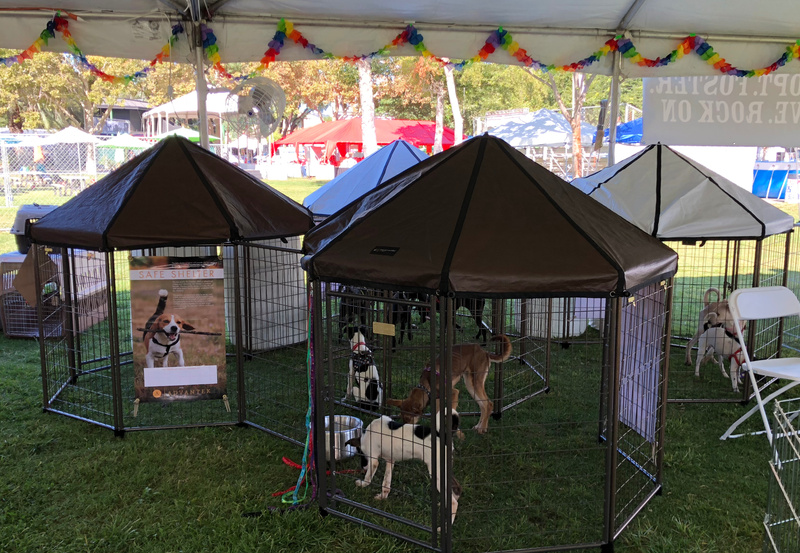 Our portable dog kennel protects your pet from the elements – rainy, windy, or sunny days don’t stand in the way of keeping your best friend comfortable. The PET GAZEBO® is available with a reversible roof that keeps your pet content with temperature control features. In cooler weather, the brown side of the canopy absorbs warmth from the sun, while in warmer weather, the white side of the canopy helps keep your pet cool. Portability for indoor and outdoor pets. Designed with pets and backyards in mind, the PET GAZEBO® is ideal for outdoor use to give your pets the luxurious outdoor lifestyle they deserve. 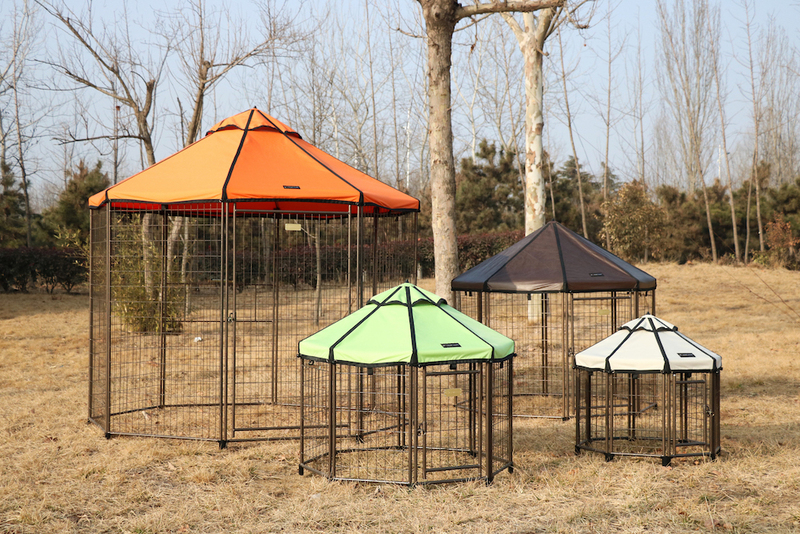 You can also select your preferred canopy color to add some style to your PET GAZEBO®. If you have indoor pets or just want to bring your animals inside, the kennel’s portability makes it easy to move and set up indoors. Set up the PET GAZEBO® indoors for dogs, cats, bunnies, and any other small animals you love to spend time with inside. No hassle for the holidays. Do you have family and friends over during the holidays? 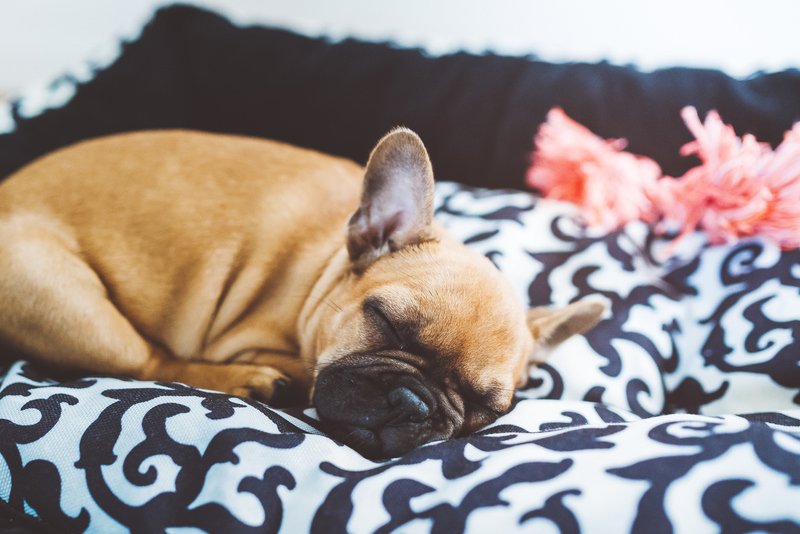 Pets can easily get in the way when you have a home filled with guests and a busy kitchen. Sometimes our furry friends can get curious when there are an abundance of food and people gathered in one area, which can lead to accidents. You don’t want to harm your pet or stall your holiday festivities due to an unplanned trip to the vet. The PET GAZEBO® keeps your pets safe and out of the way when setting up for holiday parties and other gatherings. It also gives them more space to relax than feeling confined in a crate. Do you leave town for the holidays to go on your annual camping trip? 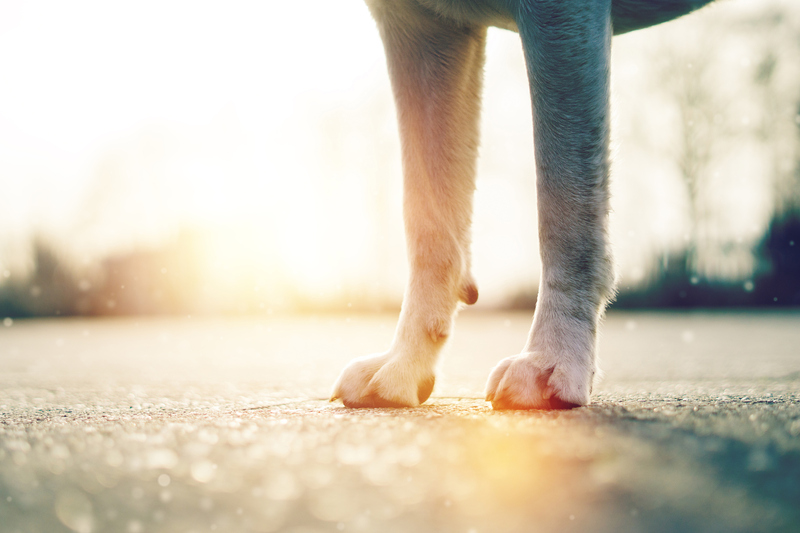 You shouldn’t have to miss spending time with your pet during special occasions and holidays. You can keep an eye on them for the entirety of your trip without worrying about them running off their leash and away from you. It also protects them from other animals on the camping site or any wildlife, depending on your trip’s location. The kennel gives you the opportunity to take your pets with you wherever you go whether it’s to your camping trip by the lake or to grandma’s backyard. Be anywhere you want to be with your pet and give them the outdoor lifestyle they deserve. Visit AdvantekPet.com to view our products or contact us if you’re interested in carrying our products in your store. Have you ever wanted to take your pet camping or on a road trip, but knew you wouldn’t be able to enjoy your trip and keep an eye on them the entire time? Advantek Pet developed a solution that allows you to take your furry friends with you wherever you go so they can be a part of the fun.